Okay, I have said this once before (8th May 2012 in fact), Silverton isn’t Broken Hill, but it is pretty close, just 25 kms down the road. 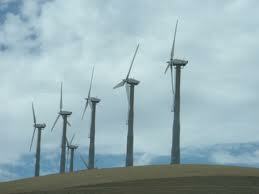 The locals in that very small town are currently concerned about AGL’s proposed wind farm. I’m pretty sure many residents in Broken Hill are just as concerned so I was interested to see an advertisement in the “Barrier Daily Truth” on page 12 today. The advertiser was AGL and it was about them announcing that, as part of a community engagement process for the proposed Silverton Wind Farm Project, they are in the process of establishing the Silverton Wind Farm Community Consultative Committee (CCC) and are inviting members of the community to register their interest in taking part. “The aim of the Silverton Wind Farm CCC is to help strengthen the community engagement process so that community issues can be addressed appropriately.” It is a voluntary committee (initially meeting monthly) which will include various stakeholder and community representatives who have demonstrated an interest or connection to the project. The meetings are to discuss planning developments as well as community issues and concerns regarding the project. It will also provide an opportunity for the local community to work with the AGL project team to find solutions. There are more details in the ad regarding the opportunities the establishment of this local group will provide the community with. 1800 039 600 Silverton Wind Farm CCC Community Hotline and they will send you a nomination form as well as further details.